After new years, I asked my brothers if they were interested to chip-in and treat our parents for an out of town trip in Acuatico Beach, San Juan, Batangas. So happy that they were in! 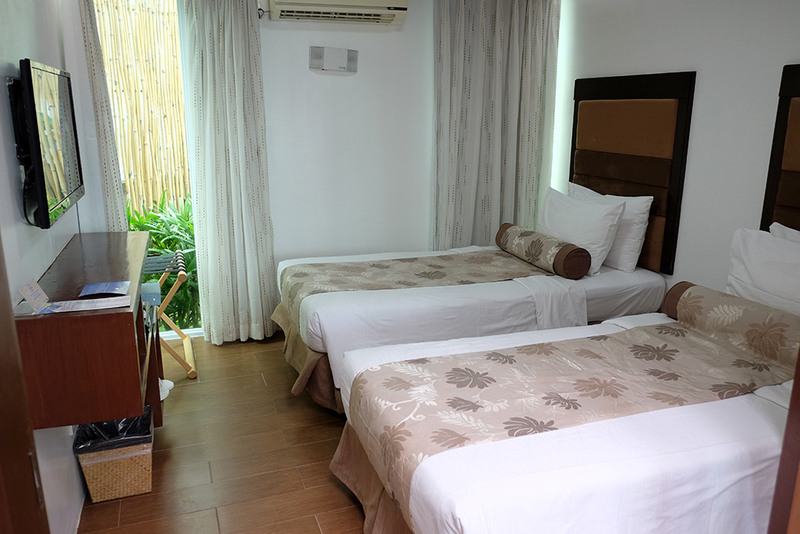 I have to admit though, Acuatico is probably the most expensive place to stay at along Laiya and it's almost always fully booked! 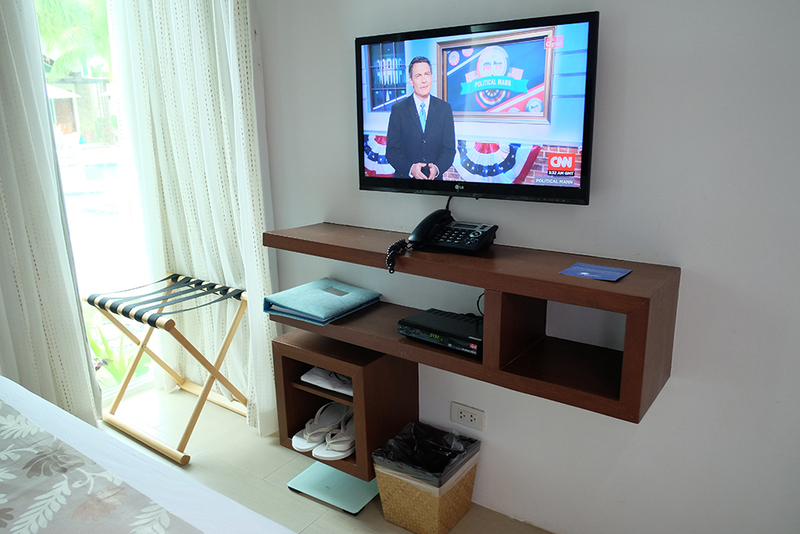 Lucky for us there were slots available (best to book direct) for the last weekend of February (Feb 27-29). 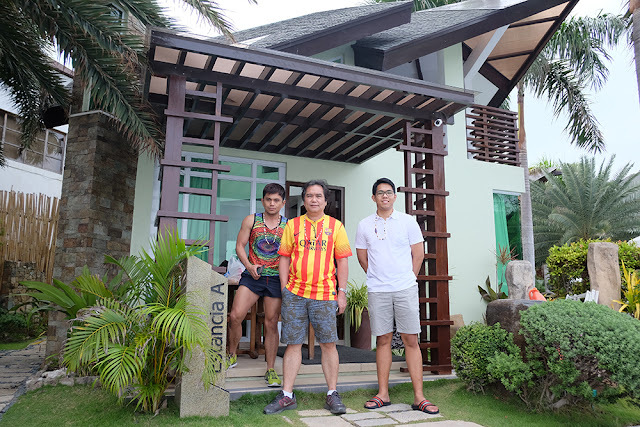 So we got the biggest property which was called Estancia, that has 3 rooms and can accommodate up to 6 people. 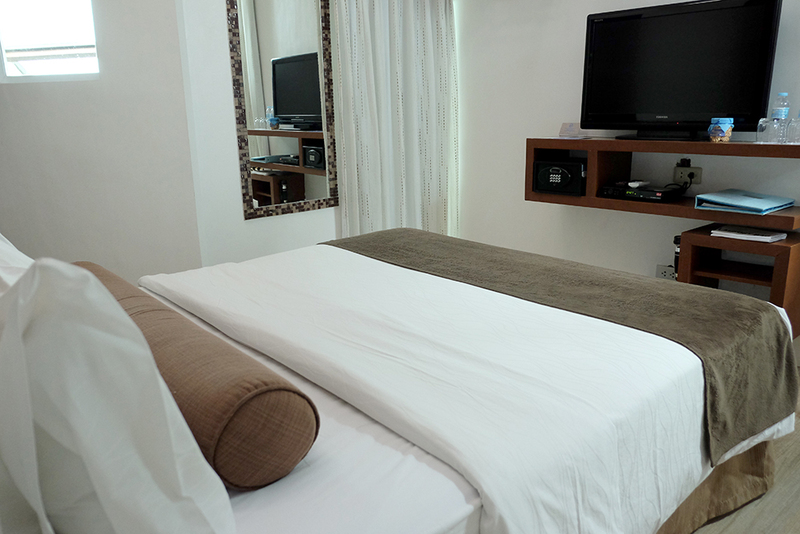 The given rate for booking direct was ₱23,400 for a Saturday and ₱22,200 for a Sunday. This is the room on the second floor. And another master bedroom on the first floor. The last room I assume is for the kids that has 2 single beds. 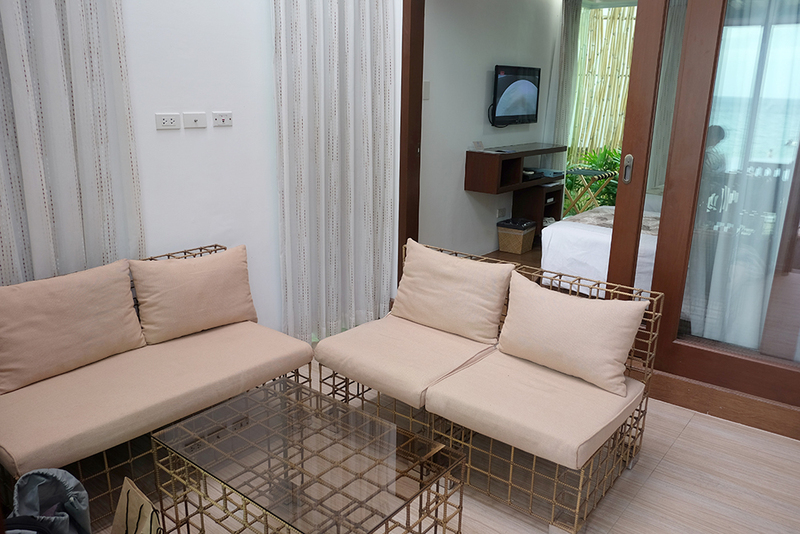 This is the living room which is the first thing you'll see as you enter the property. 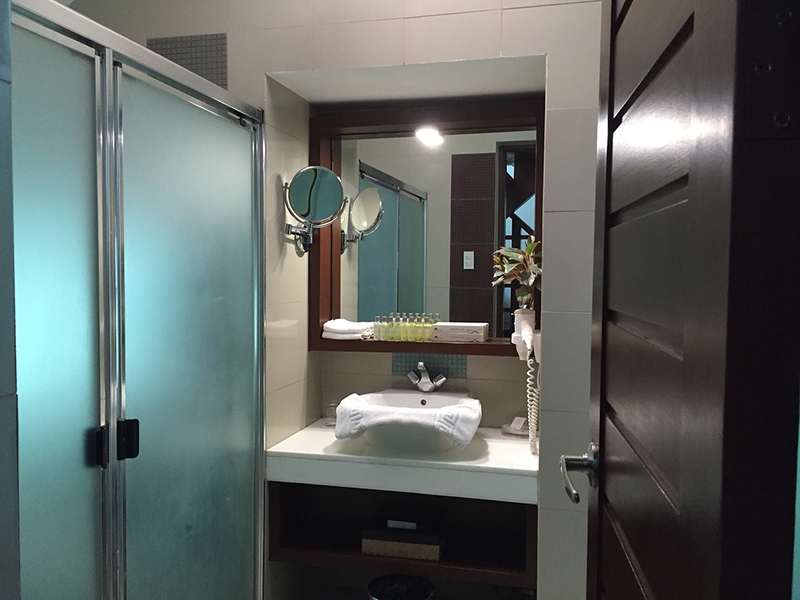 As you can see from the first photo of this post, Estancia is basically just a small house but at least they maximized the space available and the interior design was simple but still looks elegant. 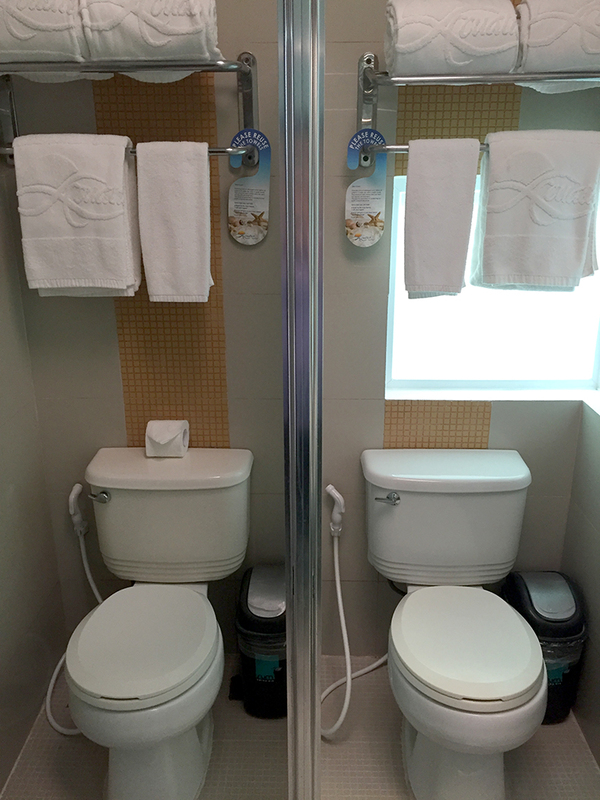 Estancia has one big bathroom that was converted and redesigned to have 2 showers and 2 toilets. 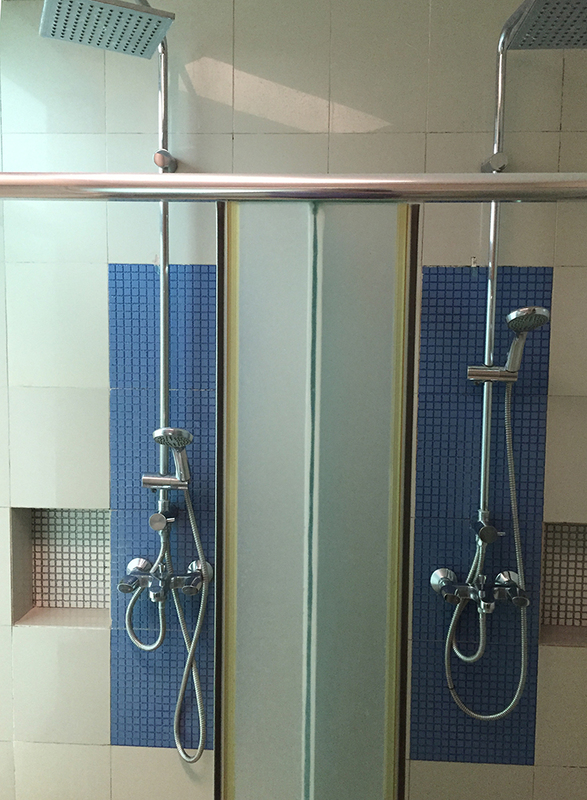 So if you're a group of 6 and in a hurry, may I suggest using the public shower rooms outside which I honestly think are better to use. Also, take note that those transparent windows/glass aren't that transparent. Meaning I can still see who's inside, in all his/her naked gloriousness. HAHAHA. Our stay included buffet breakfast and I couldn't complain, everything was good. Love their Batangas coffee. For those who want to have dinner, they have dinner buffet 'til 9PM for ₱700 per person. After that they'll be serving ala carte. Sadly I wasn't impressed with the dishes served during dinner. I was expecting to have lotsa seafood but then choices were very limited to chicken, pork, etc. Moving on, when we're not eating we're swimming. 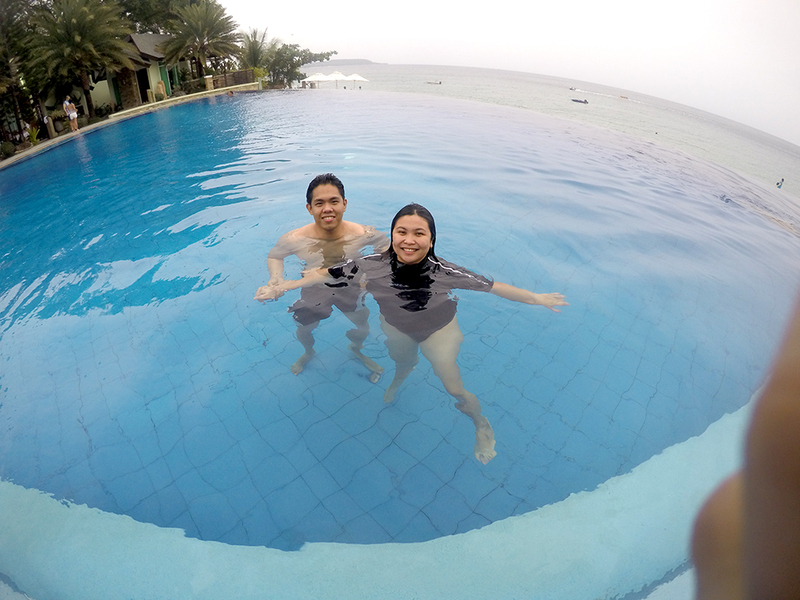 We love the infinity pool. You may use their kayak and pedal boat at no extra charge. 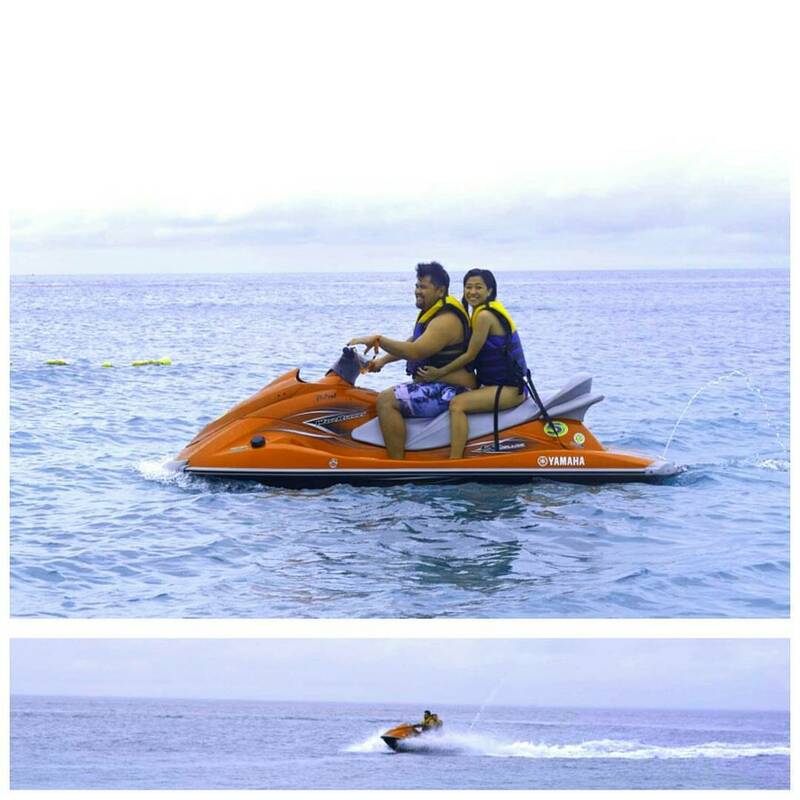 That's my brother and his girlfriend enjoying other facilities like the JetSki available for rent for ₱2,500 (good for 30 mins). 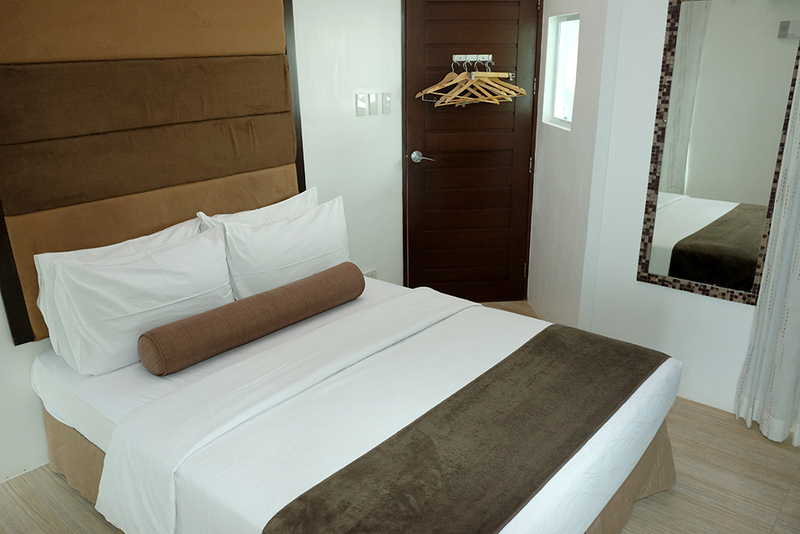 Few meters from Acuatico is Acuaverde Beach Resort. This place looks bigger in terms of space. We had our lunch buffet here for ₱500 per person. 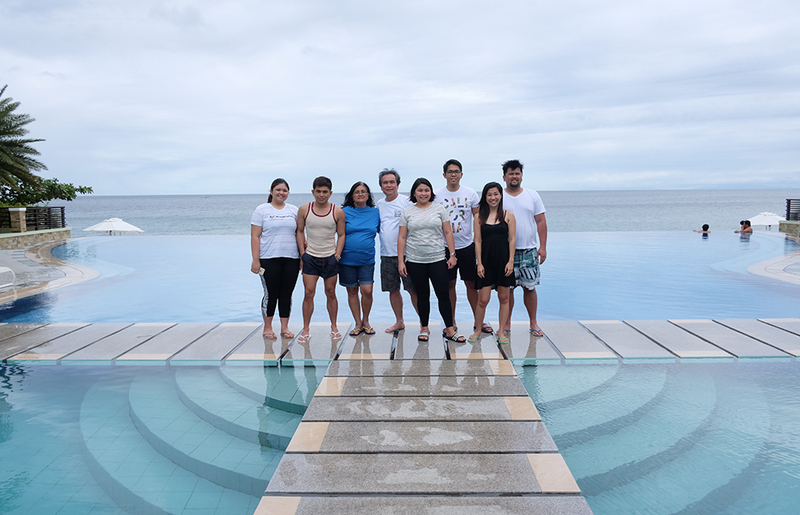 Of course we couldn't leave the resort without a photo-op with the gorgeous infinity pool. Some might notice we're a group of 8. 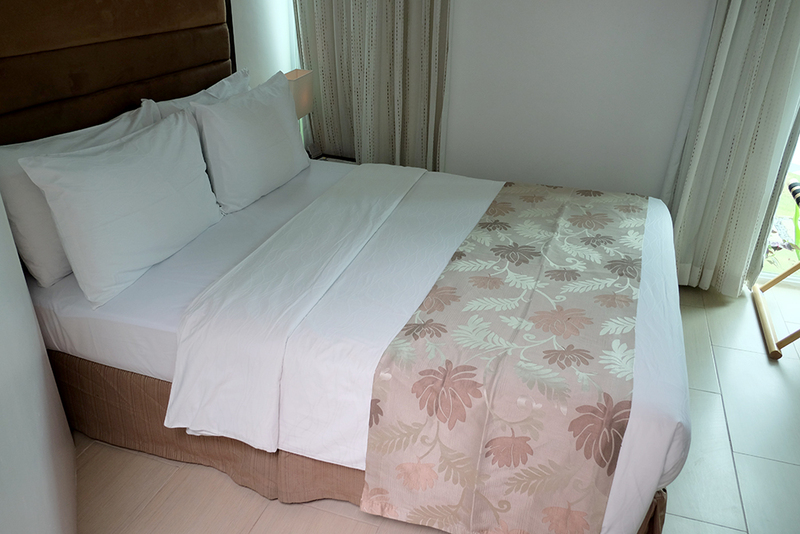 Management charged us extra ₱1,500 per person per night.